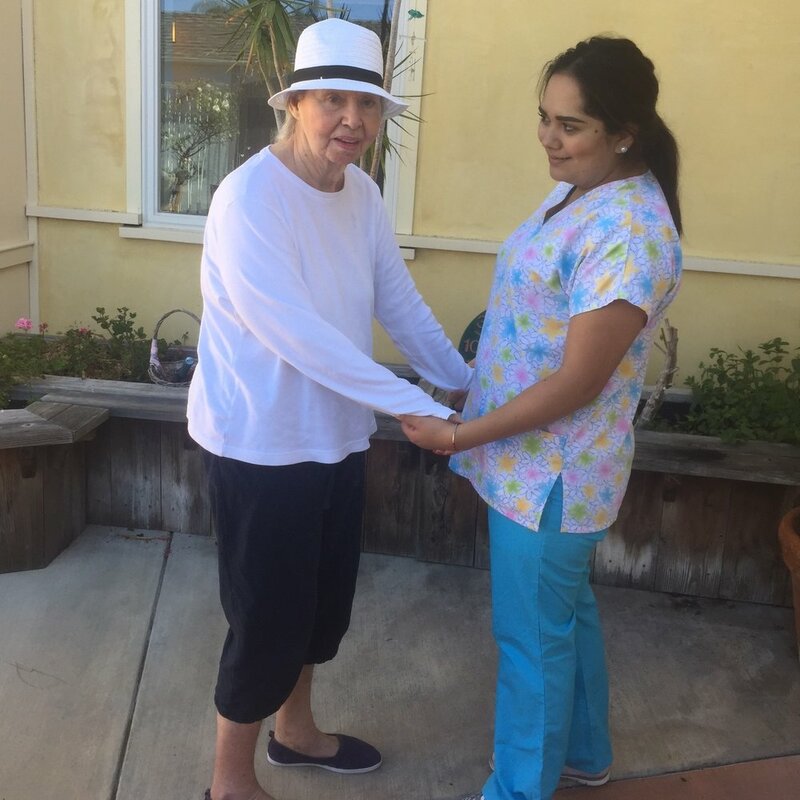 Providing quality residential dementia care, Alzheimer's care, and memory care in Santa Barbara. The well being of a resident is dependent on their experiences throughout the day. At Mission Villa we always strive to provide the highest quality of care. We achieve this through the array of amenities we provide each resident. Whether, its the activities, the healthful meals, the safe environment, or the end of life services we provide, your loved ones will be in good hands at Mission Villa. Craft projects that allow each resident to demonstrate their creativity. Reading periods to allow our residents to enjoy a book, magazine, or daily paper. Socials, to provide all residents with the opportunity to interact with others. Puzzles and board games to maintain cognitive health. In addition, we work closely with our caregivers and families to develop individual activities that are meaningful to each resident. Mission Villa strives to support healthy individuals. Whenever a resident joins us we develop an Individual Exercise Program (ISP). We asses their physical abilities, such as their ability to walk, the strength of their hand eye coordination, and their levels of comfort when making certain movements. In this way we develop and implement an array of physical activities that serve their needs. Whether it's a walk around our facility, playing ball with other residents, dancing, or simply extending one's arms and legs, we strive to ensure that exercise takes place. Leading research shows that "beyond the entertainment value, there is growing evidence that listening to music can also help stimulate seemingly lost memories and even maintain some cognitive function." This prompted Mission Villa to incorporate music in as many activities as possible. Moreover, throughout the week we invite local musicians to provide our residents with live entertainment. 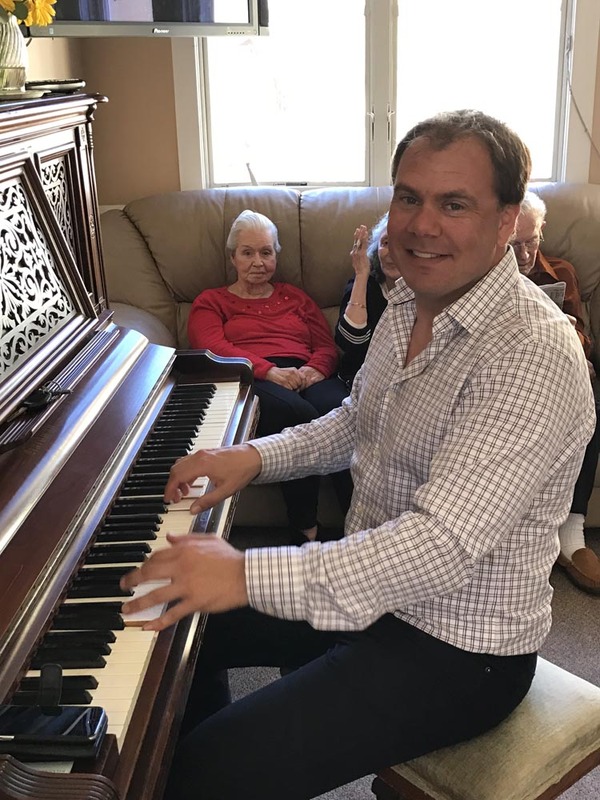 Whether it's a one man band, a singer extraordinaire, a delightfully accordion player, a church choir, or a pianist we ensure that each resident has the opportunity to immerse themselves in these musical experiences. No matter one's age, a healthy meal is an essential part to the well being of an individual. At Mission Villa we pride ourselves in the food we serve. With the assistance of several consultants we have constructed menus for our residents that include fresh, nutrient-dense foods at each meal. Under the direction of our two chefs, Daniel and Luis, we prepare delicious balanced and healthful dishes using only the finest ingredients - always fresh and mostly organic. Moreover, we work closely with our chefs to develop entrees for our residents with diabetes, allergies, lactose intolerance, and other special dietary requirements. We are always open to accomadating each resident's dietary preferences, dislikes, requirements, and religious restrictions. These safety measures ensure that your loved one will prosper while avoiding unnecessary accidents. Mission Villa offers its residents concierge medical services by Anthony Allina, M.D. Dr. Allina visits all patients every six weeks or as needed. He and his staff are on call 24 hours a day, seven days a week. With this unprecedented level of medical, any change in a resident is reported to Dr. Allina and adjustments to a resident's care plan are implemented immediately. Convenience, economical cost, and continuity make concierge care an invaluable program at Mission Villa. When life's journey comes to an end, hospice is often called. Mission Villa has used the excellent services of local hospice agencies for more than ten years. Their staff are very well trained and know exactly what to do at the appropriate times. Staff members and medical professionals unite to ensure your loved one and family has every resource necessary for a peaceful passing. Occasionally a special occasion commons that you can't miss - a birthday, wedding, graduation, or holiday. Mission Villa is pleases to offer short-term or temporary care of dementia patients to provide relief to the regular caregiver. When you need a break or have a special event to attend, call Mission Villa to reserve a room for your loved one.